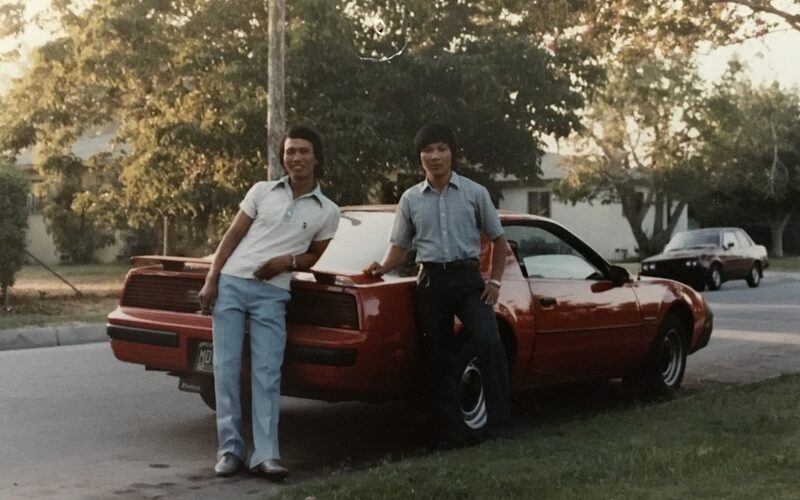 Chú Lợi (on the right) and a friend in the 80’s. April 30th, 1975 marked a dark stain in Vietnamese history. The mass exodus of Vietnamese people fleeing the country exceeded beyond millions and the countries they sought refuge in span across the globe. Even beyond 40 years after the Fall of Saigon, stories of Vietnamese peoples’ voyage to seek freedom are still being told and many of them resembled the story of Thoa Kim Nguyen’s father. Below is the second installment of the “Presidential Perspectives” series and the story of Chú Lợi Nguyễn’s journey to the United States. 43 years have passed since the end of the Vietnam War, marking today an observation date for many people affected by the tragic events. Much of the Vietnamese community here in North America and overseas take the day to commemorate and reflect on their families’ journeys and personal stories. History deems April 30th, 1975 the end of a war, but for multiple countries, officials, soldiers, and civilians the effects have lasted long after. Last year I told a part of my mother’s story and how the Vietnam War affected the trajectory of her life. The aftermath of the war has also extended to my father (pictured, right). As I was growing up, his stories were more prominent in my life, but came in bits in pieces. It wasn’t until I was a young adult in my early 20’s did I sit down and properly ask the entirety of his story. When he speaks of the Vietnam War, his eyes become distant as he retreats to memories of his past home. Living in a village on the coastline, two and half hours outside Hue, my father has a fondness for oceans. He refers to April 30th as “ngày mất nước”, or the day we lost our country. As one of seven children, he was the only one in the family to attend school. With dreams of being a doctor, but the dream was out of reach since medical school was too expensive even for a top student in his village. In place of medical school he enrolled in the police academy hoping for more opportunities in the city known as Saigon. Before and throughout his time training in the police academy, the Vietnam War was entwined in everyday life. His time at the academy ended along with the Fall of Saigon. Distraught he was forced back home only to be put into trại học tập cải tạo, a re-education camp, to learn the about the new ways of the government. As he saw the radical changes within the country of Vietnam, he and many other Vietnamese citizens, made a bold decision to escape the country and it’s new regime. Spending what little money he had on diesel fuel, my father made arrangements to have himself, his brother, and a cousin flee by a small fishing boat. In the middle of the night he snuck off, knowing he couldn’t return or make contact with remaining family. Dangerously sailing across the ocean, he became a refugee in Hong Kong. Working in a factory to support his little brother and cousin, while picking up english working with his manager. After a year, he made contact with family in Illinois, and was sponsored by a church to come to America. A few years after being in the states, he met my mother in Texas, and started a family soon after their move to Colorado. The effects of the war still haunt my father from time to time. When I was living at home, having a habit of staying up late, I would catch my dad yelling in his dreams. Waking him, he often told me he was running from bombs, or people in a Vietnam like setting. If documentaries come up, he pauses to watch images of soldiers. His eyes sadden even more when seeing the well documented damage to the city Hue. Hue hosted one of the fiercest battles of Vietnam War leaving 80% of the city damaged. To this day, there still is bullet holes found in buildings restored from the war. 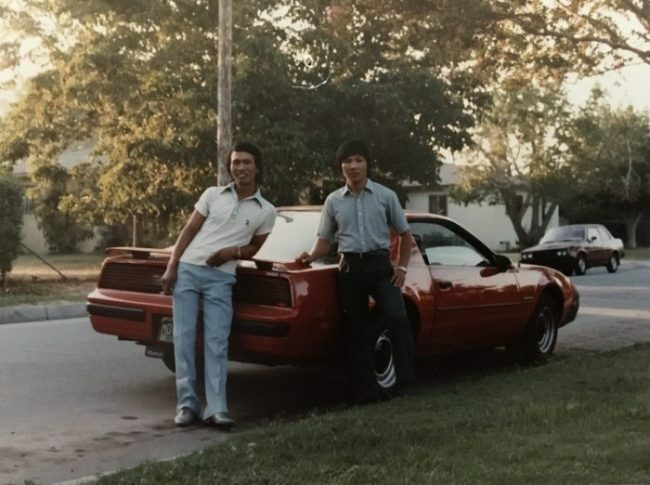 My father’s sentiments and experiences mirror many Vietnamese who have immigrated to other parts of the world. As mentioned in my mother’s story: anger, fear, sadness, are familiar themes in these personal accounts. The Vietnam War ranks as one of the top 5 most expensive wars in U.S. history, and none more devastating than the human cost – an estimated 1.3 – 3.9 million lives were tragically lost. For two decades (1955-1975) all countries, officials, soldiers, and civilians involved experienced destruction brought on by the war. I remember as a child around six years old, he made his first trip back to Vietnam since leaving the country. On the car ride to the airport, he told me, “nothing is more essential to life than family.” At the time, I didn’t take in his words or understand why it was important to remember. Though these tragic events do invoke negative feelings to many involved in the war, there is much to be said of the resilience and courage of the Vietnamese community rebuilding itself in unfamiliar and sometimes unwelcoming environments. I hope that many other members have conversations with their family and join one of the many campaigns in honor of the day. It’s crucial for this generation of Vietnamese to reflect on history, not just for commemoration, but to appreciate each other and our roots. I am forever grateful and increasingly proud of my Vietnamese heritage. To engage and learn more about April 30th or Black April, please visit UNAVSA’s website.